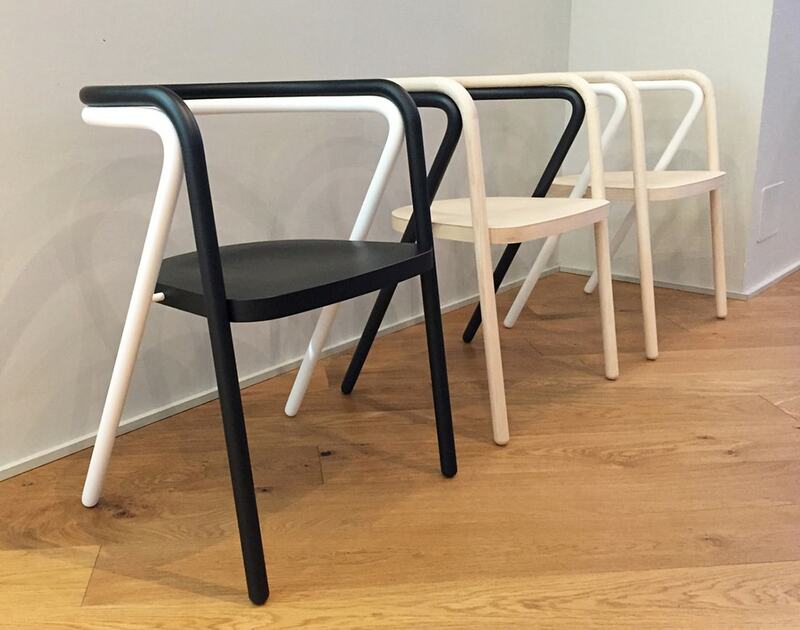 Chair 2 project is the development of the studio’s independent project from 2014 called Chair Compositions 1+2. The original project concept was to combine 2 elements and colors that together form a functional and constructional seating and create an interesting 3 dimensional graphic composition. 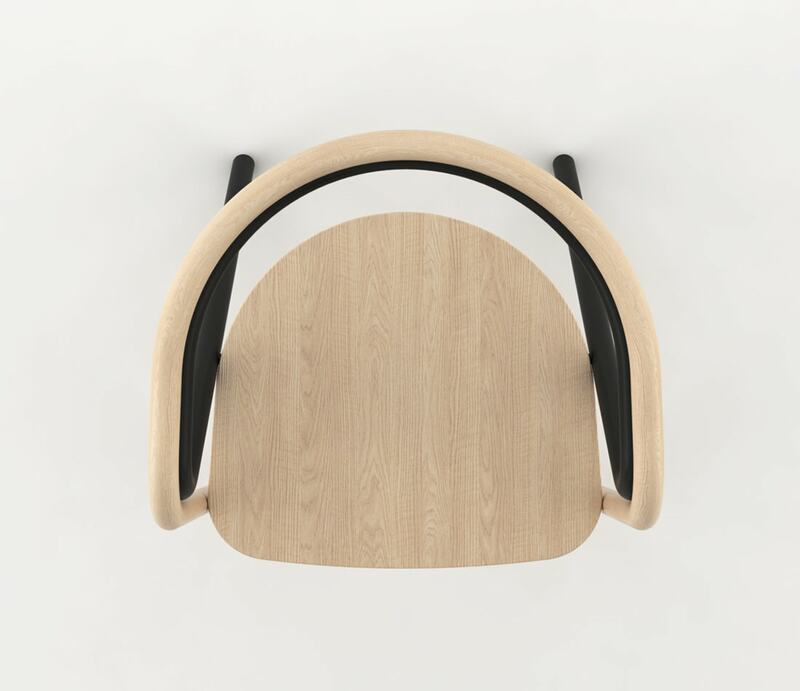 This is achieved by strategically assembling the individual elements of the chair in an ergonomic and contractual manner. The chairs in the original series were made of 2 tube bent parts. 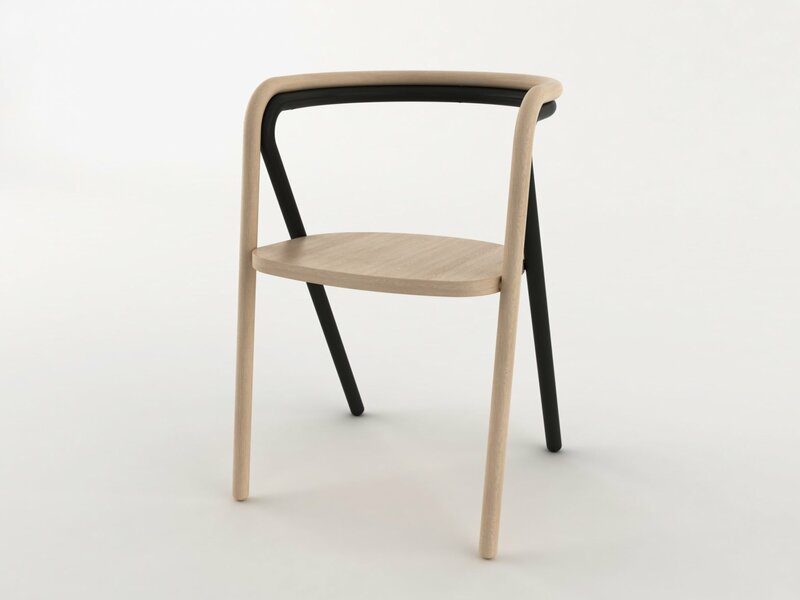 For 3 years the studio together with Cappellini developed a new version of the chair which combines not only two shapes and colors but 2 materials as well. 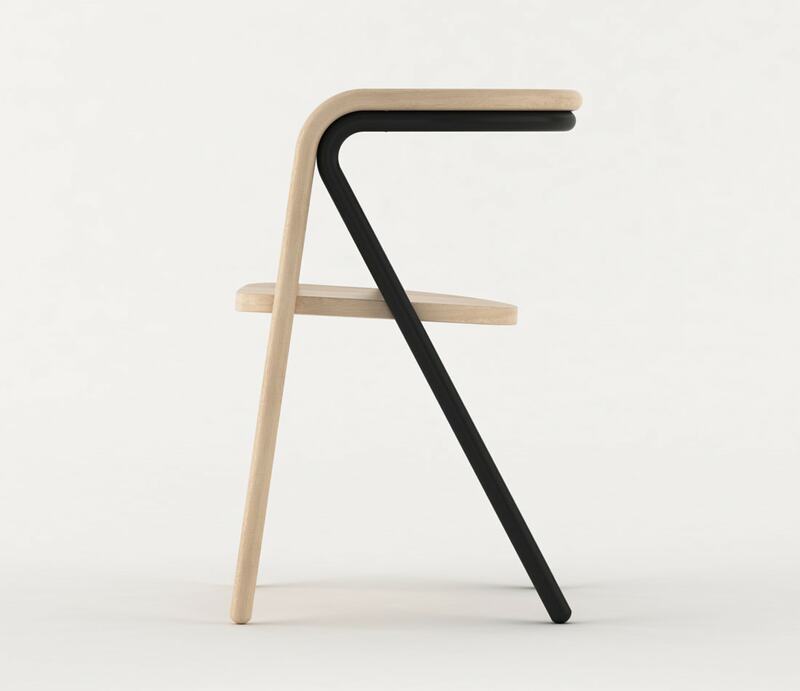 The new chair is made from a bent wood rod which composes the front legs and upper backrest and a steel bent tube which comprises of the back leg and the lower backrest. 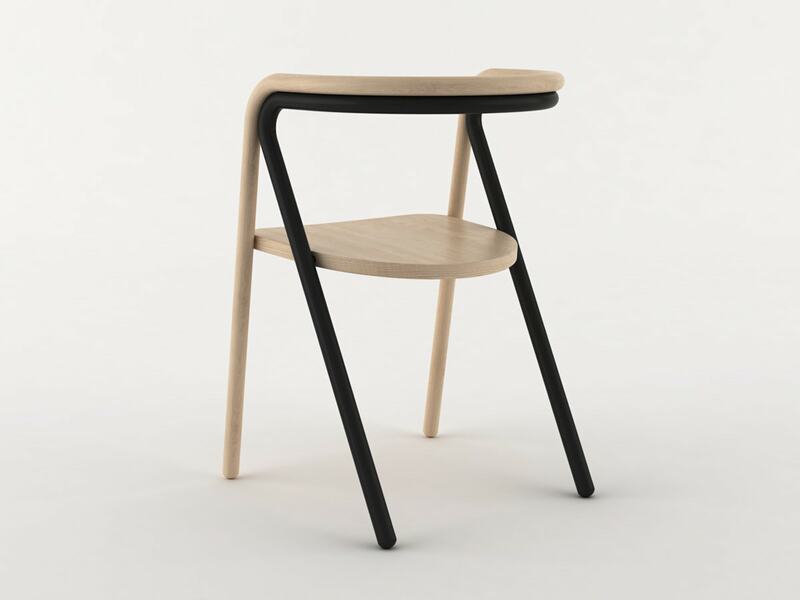 The combination of the two materials and technologies allow to utilize the advantages of each materials special properties in a smart and aesthetic way: the steel leg gives the chair its structural properties and the wood gives a warm and comfortable feeling to the body. 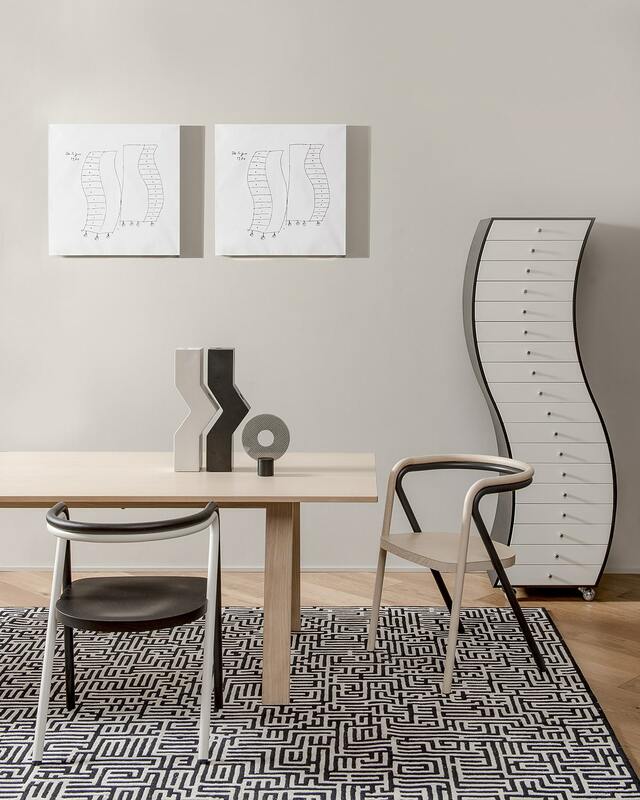 About the new collaboration Giulio Cappellini stated: “I am very pleased to present a new product which represents the result of the collaboration with Gilli Kuchik & Ran Amitai. I like their approach to the rigorous project respectful of the materials which are interpreted with irony and mastery”. 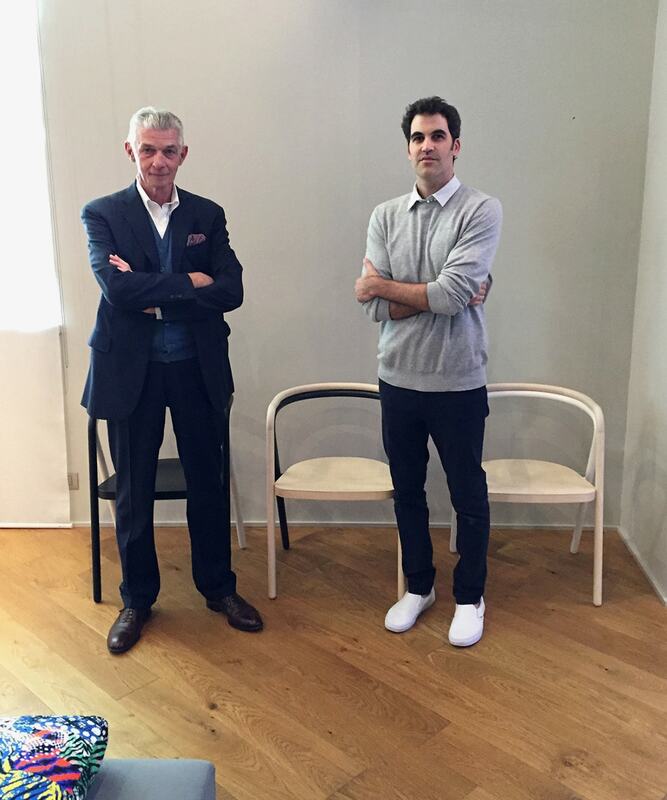 Giulio Cappellini with Ran Amitai and Chair 2 during Milan Design Week 2017. During ICFF 2017, Chair 2 won the NYCxDESIGN award in the “Guest Seating” category at an event hosted by MoMA (The Museum of Modern Art). 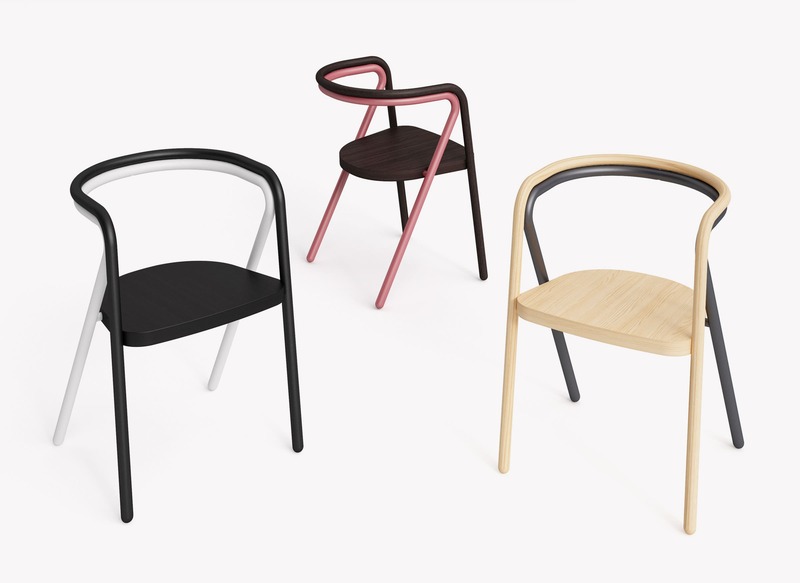 The jury panel of 30 luminaries, including our heroine curator Paola Antonelli, chose Chair 2 from 4 finalist chair designs.